Madame Pele has been busy at work this year on the Big Island! One of her most spectacular displays came to be known as the lava hose, a stream of molten lava that shot lava into the cool water below. That seemed to be the end of what came to be known as the Big Island lava hose. But, just a few days later, the lava hose has returned. 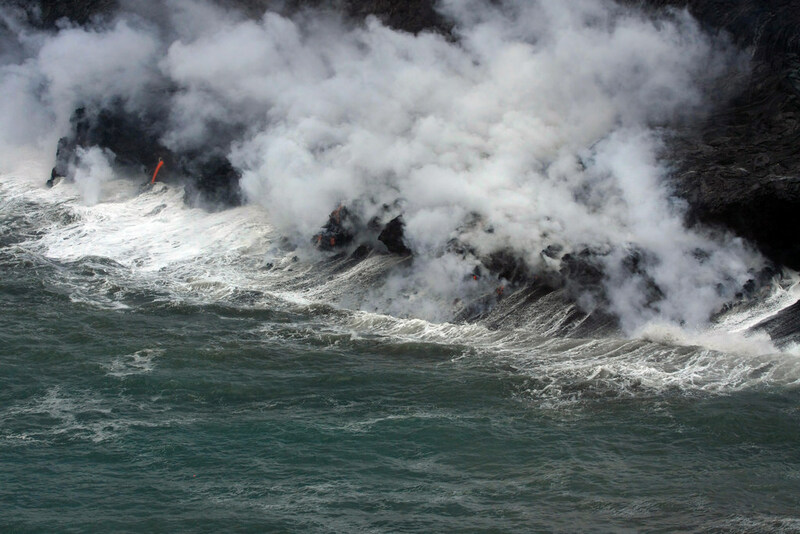 According to Hawaii News Now, authorities with the Hawaiian Volcano Observatory say a team of experts was assessing an area near the Kamokuna lava entry when a massive chunk of the ocean-side cliff collapsed. “They were in the process of setting up a camera to record the growth of the crack that has been widening over the past few days when the collapsed occurred,” Janet Babb, a geologist with HVO, told HNN reporters. For more than 30 years the Kilauea volcano at Hawaii Volcanoes National Park has put on a show for visitors. The news station reports that, after hiking into the park, geologists say they were only near the ocean entry for a few minutes before the cliff collapsed without warning. The cliff had become increasingly unstable, scientists say, with the crack that resulted in the break growing as wide as 33 feet before it actually broke off. For a while, the collapse marked the end of lava viewing there. But, now, the lava hose is back and visible. The remaining portion of sea cliff is approximately 100 feet long and 16 feet wide, though geologists say it appears to be highly unstable and could collapse at any time. Despite the collapse of the lava hose, lave continues to pour into the ocean on the Big Island's coast. When the molten lava hits the cool seawater, it reacts and causes explosions that can throw large chunks of hot rock and debris inland, where tourists hike in to see the lava, and seaward, where tour boats cruise the shoreline. The gasses released from the reaction are also dangerous to breathe, and shards of volcanic glass can be thrown into the air when the hot lava meets the cool seawater. It’s unclear if the Big Island lava hose will cease again. It’s also unclear what the collapse will mean for future flows and lava viewing, but you can be sure the situation is dynamic and could change at any time. And, remember, even if the Big Island lava hose disappears, that doesn’t mean your lava viewing opportunity is over! 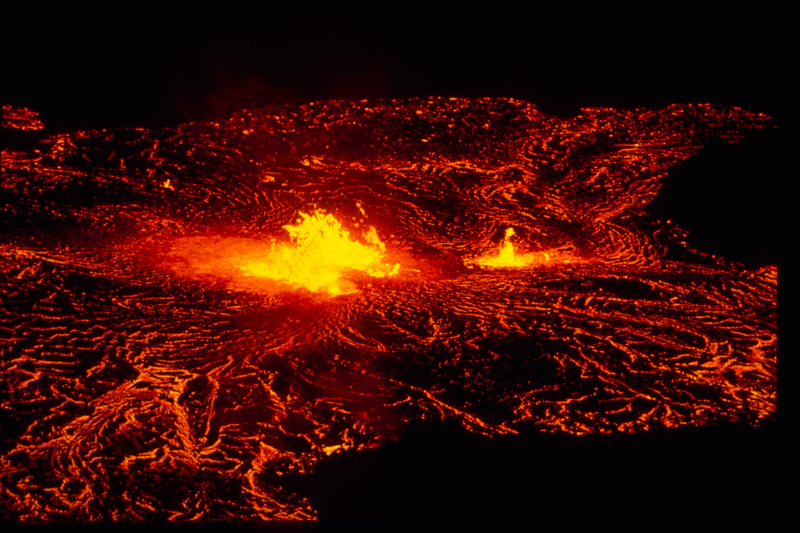 Book a Big Island Helicopter Tour, and you can view the lava lake and other lava vents and flows that are only visible by air. Make sure you stay tuned to the Hawaii Aloha Travel Blog for the latest updates on new lava flows and viewing opportunities. We’re staying on-top of the latest news, so we can pass the information to you!